Priced below KBB Fair Purchase Price! Alloy Wheels *, Backup Camera *, Bluetooth*, Power Mirror Package*, Power Package*, FREE CARFAX, 4WD, 3.42 Rear Axle Ratio, Remote keyless entry, Tow/Haul Mode. Hambelton LaGreca Super Center WWW.hamlag.com. 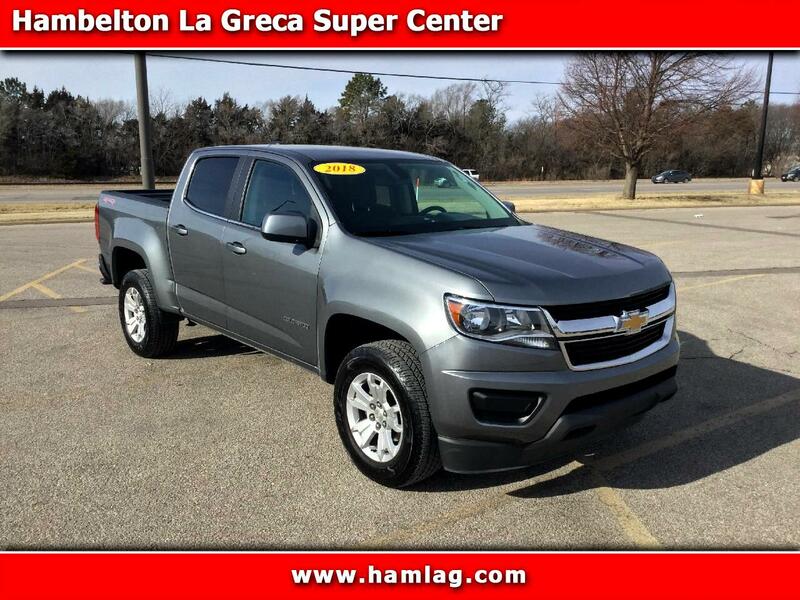 Blade Silver Metallic 2018 Chevrolet Colorado LT 4D Crew Cab V6 4WD 8-Speed Automatic Odometer is 2266 miles below market average! Excellent Financing Available!